The black Source Four LED Series 2 Daylight HD with Shutter Barrel from ETC is an LED fixture offering a flicker-free output ideal for broadcast and stage lighting applications. The Daylight HD model uses a mixture of 60 LED emitters to produce a variable cool-white color temperature output with ideal performance between 4000-6500K to imitate natural daylight sources. Color tint control is also offered for fine-tuning to match different skin tones. This light engine is capable of CRIs up to 95 when balanced to 4500K, and the LEDs have a long lifetime of 20,000 hours before dropping to 70% intensity. Also, there is a 15-bit virtual dimming engine for smooth transitions without color shifts. 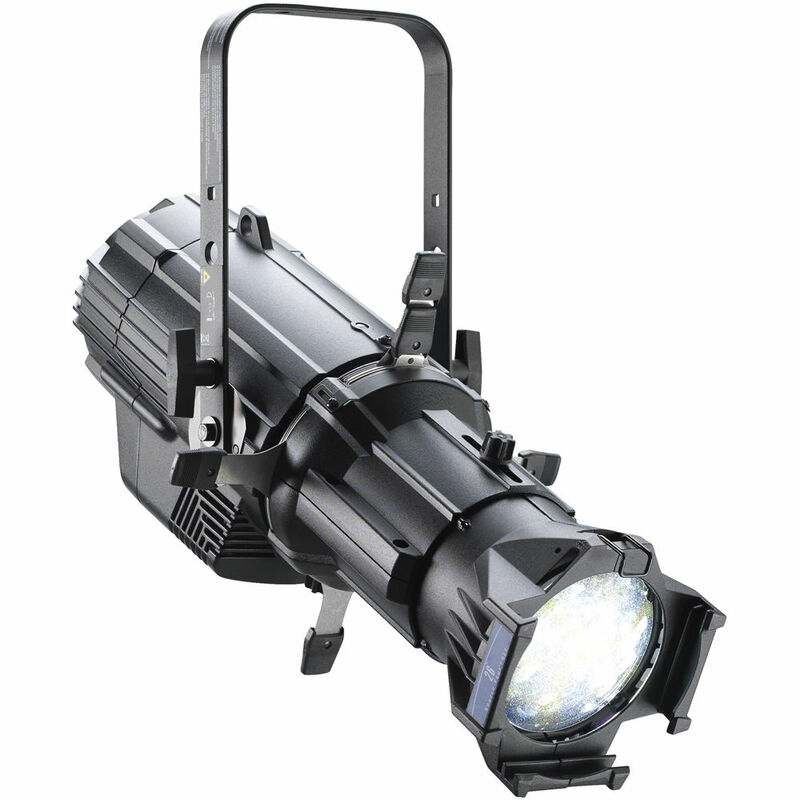 The Series 2 Daylight HD has remote control with DMX512 using 5-pin XLR connectors. Multiple lights can be linked for synchronization and there is also RDM functionality. The physical characteristics of the light include a quiet fan cooling system and a durable die-cast aluminum construction. It is IP20- and UL1573-certified and comes with a hanging yoke mount. Additionally, it has a universal 100-240 VAC power supply. Box Dimensions (LxWxH) 27.2 x 12.3 x 12.2"